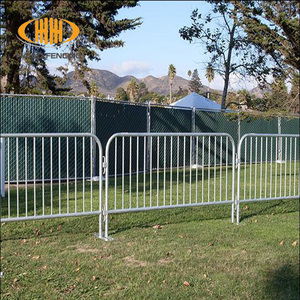 Crowd control barrier uses as a physical and psychological barrier to demostrate "no access" zones and to designate space for lines. the clamps of crowd control barrier: to connect two panels together quickly and securely. 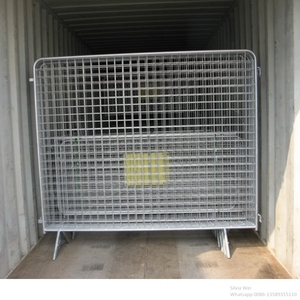 LTD, engaged in production and exportation of crowd control barrier, is a leading designer and manufacturer in the field of wire mesh fence product. Welded Wire Fence Panels / Welded Temporary Fence / Portable Fence valla de la construccion portatil Temporary Fence Customer Request Material carbon steel wire and pipes Wire Diameter 3-6MM Mesh Size 50x100MM 60x150MM Surface treatments: hot-dipped galvanized; electric galvanized; galvanized with powder/pvc coating Panel Size 6x10ft .6x9.6ft .4x8ft. 6x8ft . 2. It has the good properties of corrosion-resisting, oxidation-resisting, weather-resisting and aging-resisting. Applications: 1. mainly used on the city road, the highway, pool, garden, security of building etc. Panels are cold galvanized and powder coated with polyethylene for superior rust protection. Q: Could you provide sample 9 A: es,we can provide sample in half A4 size together with our catalogue. Q: How is your delivery time9 A: We always prepae enough stock material for your urgent requirement. 3 YRS Hebei Qijie Wire Mesh MFG Co., Ltd. These panels and mesh are hand welded with superior quality 4.0mm mild steel wire for optimum strength and are hot dipped galvanized for durability. - The temporary fence panels comply with Australian Standard AS 4687-2007, when used in conjunction with temporary fence plastic feet (infilled with concrete) and clamps. - The finishiing is Hot Dipped Galvanized conforming to Australian Standard - 42 Microns - There are many color options of plastic feet for you to choose, like red, orange, pink, etc. 2018 Used Metal Fence Panels/Temporary Fence Panels/Used Chain Link Fence 1.Product introduction Hole opening :2"X2"(50mmX50mm) Wire diameter :2mm-4mm Material :low carbon steel wire,galvanized iron wire,electro redrawing wires. Width :1m length:30m Surface treatment :hot-dipped galvanized Types:stainless steel welded wire mesh panel,black iron welded wire mesh panel,galvanized iron welded wire mesh panel,pvc coated welded wire mesh panel,frame welded wire mesh panel. 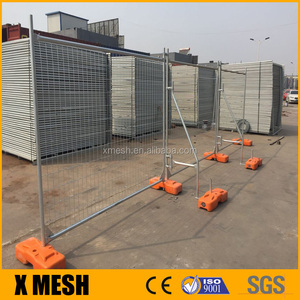 Usage :extensively used in industry,agriculture,construction,transporation,mining,such as livestock ,flowing wood,fencing ,protcting window fencing,channel fencing,poultry cage,waste basket Standard Welded Wire Mesh (in 30m length, Width of 0 . 1. How can I place the order9 1) After all details of the order were confirmed, we will send you our signed and stamped proforma invoice. 4. How do we ship the goods9 We will quote you the ocean freight, if the goods is not large, it will be loaded by air freight or Express. 5. How do we go to your factory for visiting9 Please inform me your flight time, we will pick you up at our nearby airport, then drive to our factory for visiting. 2 YRS Zhejiang Jovyea Plastic Profile Co., Ltd. 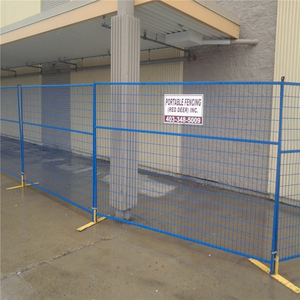 Constructed of chainlink, these fence panels can be installed, placed, moved and reconfigured in minutes. is engaged in the production and development of Pvc and Galvanized Wire Mesh Fence , Chain link fence, Barbed wires and Welded mesh products. We are located in the famous Wire Mesh Land of China Anping, Hebei Province, China. 1. No matter FOB or CIF the price term is we would try our best to find a lowest freight cost for customers' reference. What is your sample policy9 A: We can supply the sample if we have ready parts in stock, but the customers have to pay the courier cost. 9. Q: How long warranty does your company can provided for fence product9 A: Our product can last for 1 0 years at least. 2.Powder coated after welding Feature: 1.It is easy to work,bright color, easy to maintain. 25kg/piece Production Process Good quality and service are our survival way. Our factory is engaged in production of pasture and building hardware for over 20 years. 4 YRS Anping Pengming Hardware Mesh Co., Ltd.
11 YRS Anping Huanhang Wire Mesh Co., Ltd.
2016 Australia/Canada temporary fence panels hot sale (Guangzhou Factory) We can provide some samples for U!!! We have our own design team and can independently research new products, customization is also acceptable. We have two factories and one export office in Guangzhou, welcome to visit! Trade assurance service optional for over $100 order. Q : Can I have your products with my own logo on it9 A : Yes! We would send you layout art with your logo on our products to check. 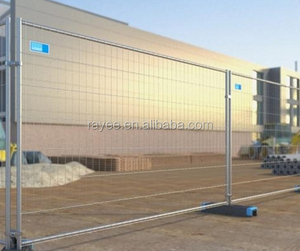 Alibaba.com offers 9,101 temporary fence panel products. About 80% of these are fencing, trellis & gates, 1% are steel wire mesh, and 1% are aluminum composite panels. A wide variety of temporary fence panel options are available to you, such as free samples, paid samples. 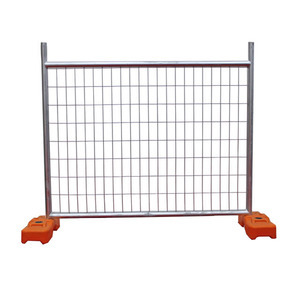 There are 9,101 temporary fence panel suppliers, mainly located in Asia. The top supplying country is China (Mainland), which supply 100% of temporary fence panel respectively. 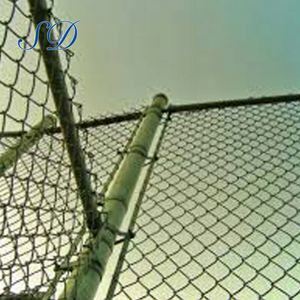 Temporary fence panel products are most popular in North America, Oceania, and Western Europe. You can ensure product safety by selecting from certified suppliers, including 4,101 with ISO9001, 1,836 with Other, and 938 with ISO14001 certification.